Prime Minister Dr Mahathir Mohamad is praised for steering Malaysia’s rapid modernisation and economic growth. 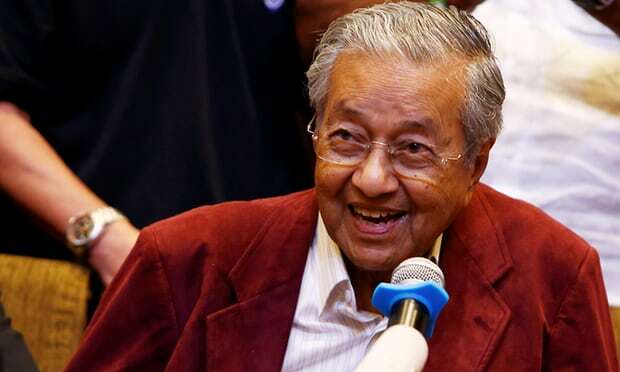 PETALING JAYA: Dr Mahathir Mohamad was named the Muslim Man of the Year in this year’s The Muslim 500, following his success in leading Pakatan Harapan to victory in the May 9 polls and subsequent re-appointment as the prime minister. The list which ranks the world’s 500 most influential Muslims, also recalled many of Mahathir’s past achievements, including crediting him for the country’s rapid modernisation and economic growth which led to economists recognising Malaysia as the leading nation of East Asia’s “Economic Tigers”. “This quite extraordinary man has had a dynamic political career spanning 70 years and yet at the same time been the author of 17 published books,” Prof S Abdallah Schleifer said in his write-up for The Muslim 500. The 2019 edition of Muslim 500 was published in conjunction with its 10th anniversary.